Amazing Deals, Peels and Being Head Over Heels. Guys, GUYS. Do you remember last month when I confessed my love for the Beauty Heroes subscription box? I'm pretty sure a few of you signed up and rightly so because that box was amazing. I didn't think they could top it, surely not, but they DID. This month is EVEN BETTER. And the value? 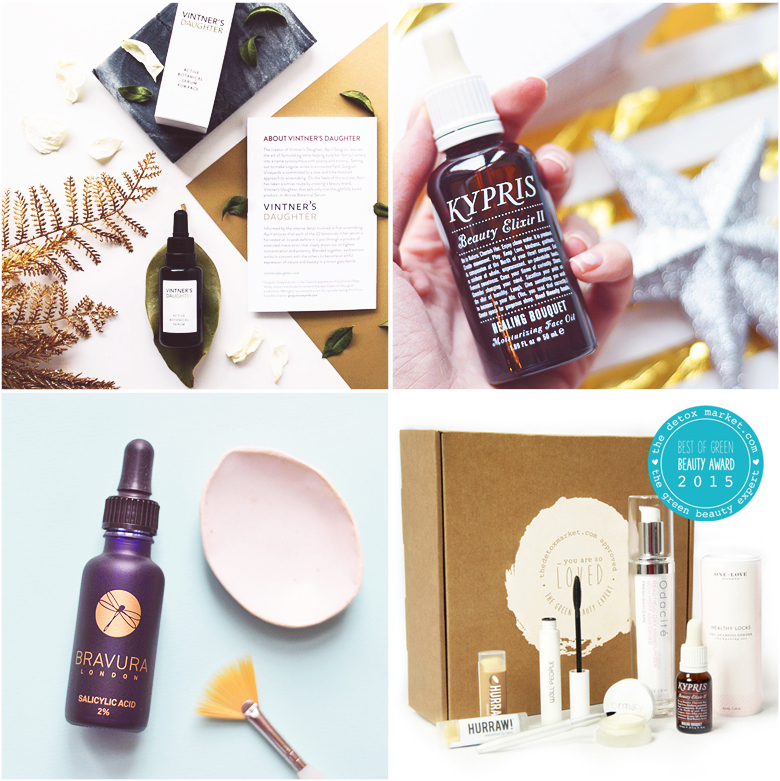 You're getting a £150/$180 full size Vintner's Daughter Active Botanical Serum in the box. If that isn't a Christmas treat then I don't know what is. This luxury, organic, wild crafted facial oil has been raved about by Caroline Hirons and just about every beauty blogger who's opinion I trust. They say it transforms skin and is just incredible. I've decided to skip this box, not sure why, I think I'm going crazy, but I have several oils open that need to be used up and several unopened ones that I can't wait to open and use, so adding another seems wasteful and against the whole premise of Beauty Heroes! Use less, love more. (If you would like to purchase the box costs £35/$39 including shipping each month... that's over a 75% saving! sign up here! You have until the 20th to take advantage of this box). I recently purchased the Bravura London 2% Salicylic Acid Peel as a remedy for blackheads and blocked pores, as I don't have any other liquid exfoliators in my stash at the moment. I used to use the First Aid Beauty Facial Radiance Pads which were great (need to repurchase) for fading scars in a gentle way with low percentages of glycolic and lactic acid. I have a few serums and masks with white willow bark, a.k.a. a natural salicylic acid, but it's so mild and often seems an after thought that I wanted something more potent and focused. So far I'm really impressed, it seems to be working a treat on the blackheads I do have dotted about and I use this happily as both a peel to wash off and in smaller amounts as a serum overnight. I will keep you updated on the results and post a review if you're interested? I'm posting an exciting giveaway exclusively on my Instagram later this evening. About 8pm (UK time). If you're interested in trying Kypris, I wouldn't miss it. ;) Click here to give me a little follow so you don't miss out. Apart from the constant texts from Pizza Hut & Dominoes alerting me of £7.99 pizza's there also happens to be quite a few beauty sales and offers happening right now for you to pick up any last minute gifts for the holidays. - Naturisimo. Use the code XMAS20 for 20% off of all limited edition christmas gifts until tomorrow night, lots already have amazing savings as gift sets so this is a good deal. I'm eyeing up the Hurraw lip set. - John Masters. Thinking of buying something John Masters? both Love Lula and Content Beauty have gifts with purchase offers on, it just depends on what you'd prefer free! As well as their incredible glitter polishes, Kure Bazaar have launched some beautiful glitter nail decals that I know are going to sneak their way into my next little shopping spree - too pretty!